Infinitely Big | For all the ways you communicate. Pop quiz: What’s the golden rule of customer service? 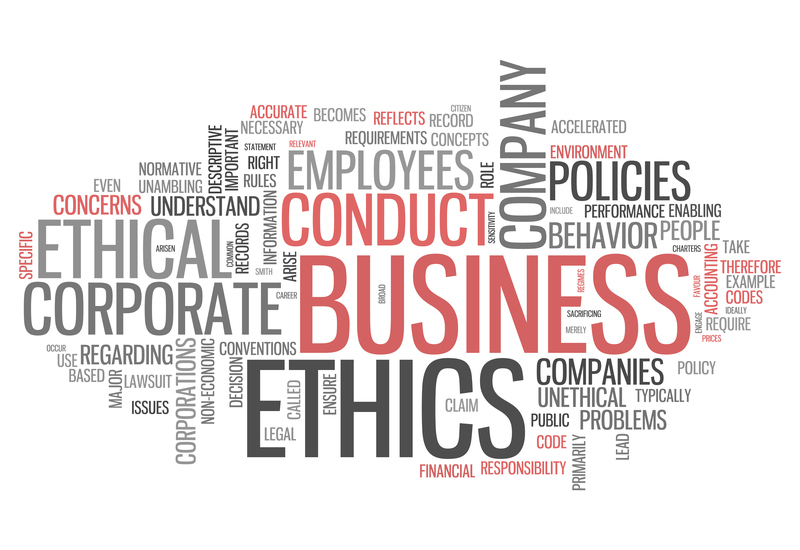 Like a unique name or logo, companies need strong core values to define what sets them apart. Values are crucially different from rules. Rules can feel isolating and artificial, whereas values define the very heart and soul of a company. They create a culture, encourage creativity and collaboration, and affect every aspect of the company from the employees it attracts to how those employees interact with one another and clients when the going gets tough. This is why Infinitely Big is excited to introduce you to our own Core Values Series. We’ll be posting a series of the five core values of our company and letting you know what each means to us. We would love to hear what they mean to you, and please share yours with us! First up: Customer-Obsessed. Stay tuned to discover why every detail matters! Infinitely Big’s video service has been recognized for one of the industry’s most prestigious awards! We are pleased to announce that Infinitely Big has been selected as a bronze winner in the 35th Annual Telly Awards competition for a video about a charity program for a Fortune 500 company. With nearly 12,000 entries from all 50 states and numerous countries, this is truly an honor. Infinitely Big is on a roll… this time, we’ve been recognized for all four of our service areas! 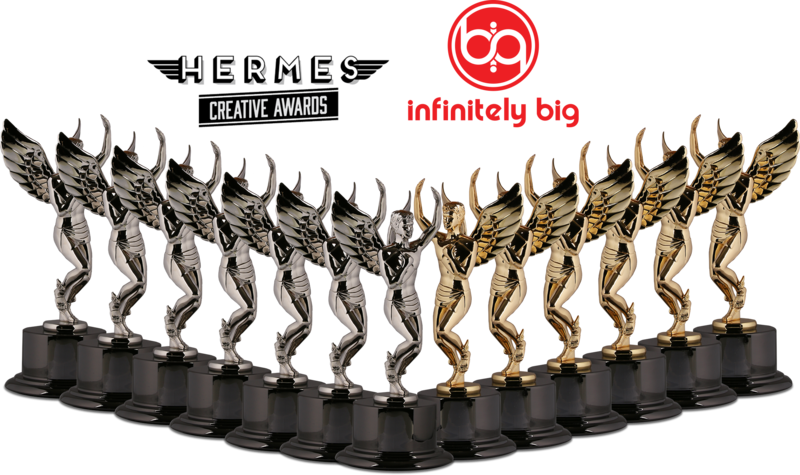 The Association of Marketing and Communications Professionals has awarded Infinitely Big with 13 Hermes Creative Awards — seven platinum and six gold — for excellence in presentations (nine awards), branding (two awards), website design (one award), and video (one award). The winning entries included a board of directors’ presentation, a motivational presentation, a product demo/tradeshow loop, a sales presentation, internal communication presentations, an internal tool presentation, a sales meeting presentation, a B2B/B2C website, and a documentary video. The Hermes Creative Awards acknowledges the outstanding work of creative professionals involved in the concept, writing, and design of traditional and emerging media. This year’s competition saw more than 5,500 entries from corporate marketing and communications departments, advertising agencies, PR firms, design shops, production companies, and freelancers in the U.S., Canada, and several other countries. The competition is administered and judged by AMCP. The international organization consists of several thousand marketing, communication, advertising, public relations, media production, web and freelance professionals. Following a recent win in the Communicator Awards competition, this brings Infinitely Big’s total number of awards for 2014 to 19! Infinitely Big has done it again… continuing our tradition of award-winning excellence, we’ve been recognized for our work in print/logo design – and our newest service, video, has been recognized for distinction as well! We are pleased to announce that Infinitely Big has been selected by the Academy of Interactive and Visual Arts to receive six 2014 Communicator Awards – three gold and three silver. The winning designs were created for several industries, including salon professional haircare, vending services, and high-end jewelry. Our own business card took a top spot in the competition, too! The Communicator Awards is the largest and most competitive awards program honoring creative excellence for communications professionals. This year, more than 6,000 entries were received from companies and agencies of all sizes around the world. The competition is sanctioned and judged by AIVA, an invitation-only group consisting of top-tier professionals from acclaimed media, communications, advertising, creative, and marketing firms.